Are the PCs days numbered? Sales figures from two research groups show that PC sales have dropped in the first quarter of the year, despite optimistic predictions that they would grow. 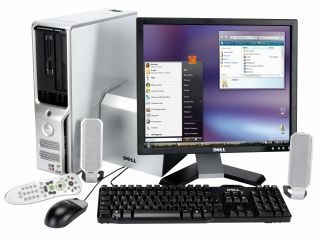 According to Gartner, global PC shipments fell by 1.1 per cent in the first three months of 2011 compared to the same period in 2010. Meanwhile, IDC calculates a 3.2 per cent dip in worldwide sales – either way, it's not looking too good for the personal computer. Both analysts look to the tablet as a cause for weak sales, with Mikako Kitagawa, principal analyst at Gartner, saying, "Low prices for consumer PCs, which had long stimulated growth, no longer attracted buyers. Instead, consumers turned their attention to media tablets and other consumer electronics. "With the launch of the iPad 2 in February, more consumers either switched to buying an alternative device, or simply held back from buying PCs." Ahh, the iPad. It never takes long to get back to Apple's illustrious slate and the launch of the iPad 2 in March at a surprisingly affordable price will no doubt add fuel to the fire once Q2's figures are established. IDC was less convinced about the effects of tablets, with a spokesperson saying, "While it's tempting to blame the decline completely on the growth of media tablets, we believe other factors, including extended PC lifetimes and the lack of compelling new PC experiences, played equally significant roles." The biggest PC loser in Q1 this year was Acer, which IDC calculated saw a 16 per cent decline in shipments of PCs, notebooks and laptops.